Charging devices on an USB port is now the most common thing on earth. We all do it, multiple times a day. Some just use with the charger itself, others connect to computers, few even use public USB charging stations (the horror!!). And that’s were the problem resides; sometimes we’re not certain if the USB connection is safe, as if it has some malicious backdoors or even if it can copy your data without you knowing about, specially when you connect to a computer that isn’t yours or to public USB ports on airports (for example). So, the USB condom is pretty much a thing that blocks any data on USB ports. 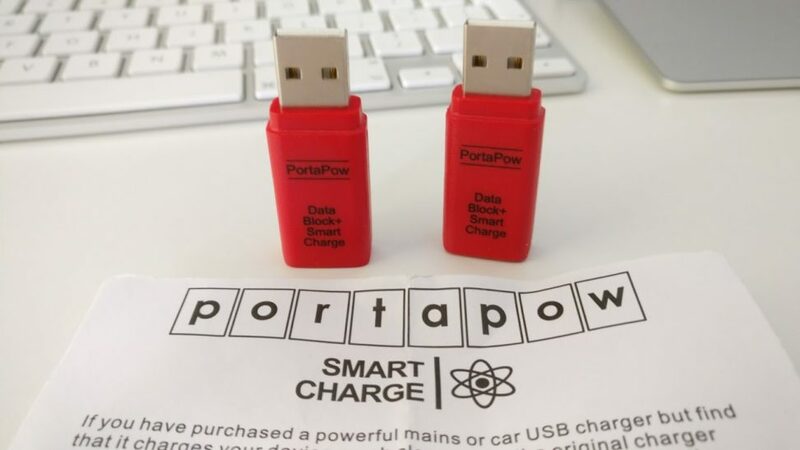 Just lets power passing through and some, like these PortaPow, can detect the target device for ‘faster charging’. Highly recommended.